Slow strength increased from 35% to 40%. Slow strength increased from 80% toÂ 99%. Attack Speed-per-level increased from 1.5% to 3%. Armor and MR shred increased fromÂ 12/16/20/24/28%Â to 20/25/30/35/40%. Active grants an additionalÂ 5/10/15/20/25 magic damage on-hit. The stacking mana cost debuff now lasts 6 seconds, decreased from 10. The active can now be used forÂ slows applied by your allies, not just your own. Auto-attack range decreased from 200 to 175. The third hit now does quadruple the damage of the first hit, orÂ 40/80/120/160/200 [+ 2/2.4/2.8/3.2/3.6 Total AD] [+0.8 AP], decreased fromÂ 28 / 66.5/117/181/260 [+ 1.75/2.18/2.68/3.2/3.9 Total AD] [+ 1.4/1.66/1.95/2.26/2.6 AP]. Base heal from reactivation changedÂ from 70-170 to 40-200. Shield recharge per Champion hit increased from 15% at all ranks toÂ 15/17.5/20/22.5/25%. Cooldown on active increased from 8 seconds at all ranks to 12. Now additionally prevents non-Champion targets hit by the spell from attacking for 2 seconds. Renamed to Behind Enemy Lines. Cast range increased from 550 to 650. % Damage on mark activation increased fromÂ 20/35/50% toÂ 30/40/50%. Ekko will be available in store for 7800 IP/975 RP during the first week. Afterwards his IP cost will go back down to 6300. Ekkoâ€™s damaging spells and attacks build up Resonance stacks on his enemies. Every third attack against the same target triggers Ekkoâ€™s passive, dealing 15 + (12 per level) (+0.7 AP) bonus damage and slowing his enemy by 40/50/60/70/80% (values for levels 1/6/11/16/18) for 2/2.5/3 seconds. If he triggers his passive on an enemy champion, Ekko also gains a movement speed buff equal to the amount he has slowed the champion by. The slow cannot be triggered on the same target for 3 seconds. Ekko throws a device in a target direction, damaging 60/75/90/105/120 (+0.2 AP) all enemies along its path. Once it reaches max distance or hits an enemy champion, the device expands, creating a field that slows all enemy and neutral units by 32/39/46/53/60%. After a moment, the device contracts and rushes back to Ekko, dealing 60/85/110/135/160 (+ 0.6 AP) damage to all enemies in its path. Passive:Â Ekko’s basic attacks deal bonus magic damage to enemies under 30% health, equal to 5% [ +1% per 45 AP ]Â of their missing health (capped at 400 damage vs. minions and monsters). Active: Ekko opens a time rift, creating an alternate reality copy of him that tosses a device to a target location. After a delay, the device expands into a broad zone that slows enemies by 40%. If Ekko enters the sphere, it detonates, granting him aÂ 150/195/240/285/330 (+ 0.8 AP) shield for 2 seconds and stunning all enemies inside for 2.25 seconds. Ekko dashes a fixed distance towards a target area. Once his initial dash has ended, Ekko gains greatly increased range on his next basic attack, and blinks to his target to deal 50/80/110/140/170 (+ 0.2 AP) bonus magic damage and apply on-hit and spell effects. Ekko rewinds time, briefly turning untargetable and invulnerable before reappearing wherever he was a few seconds ago. Once he reappears, Ekko heals forÂ 100/150/200 + 20/25/30% (+1% per 30 AP) of the damage he was dealt over the last 4 seconds. Ekko also dealsÂ 200/350/500 (+ 1.3 AP) magic damage to all nearby enemies. This is the trail Ekko leaves behind when he triggers the movement speed buff from his passive. “A prodigy from the rough streets of Zaun, Ekko manipulates time to spin any situation to his advantage. Using his own invention, the Zero-Drive, he explores the branching possibilities of reality. As well as experimenting with multi-dimensional probability, Ekko spends his days running wild with the other lost children of Zaun. Though he revels in this freedom, when there’s a threat to his friends, he’ll endure anything to defend them. To the unknowing observer, Ekko accomplishes the impossible with ease, time and time again. Sandstorm Ekko will be available in store for 975 RP. For his recall, Sandstorm Ekko opens his time device and sand swirls out of it and around him. Knockout Lee Sin will be available for 1350 RP. Knockout Lee has a few new idle animations: mostly warming up routine before aÂ boxing match. For his recall, Knockout Lee Sin rests on a chair. When he’s recalled, the bell rings and he kicks his chair away. 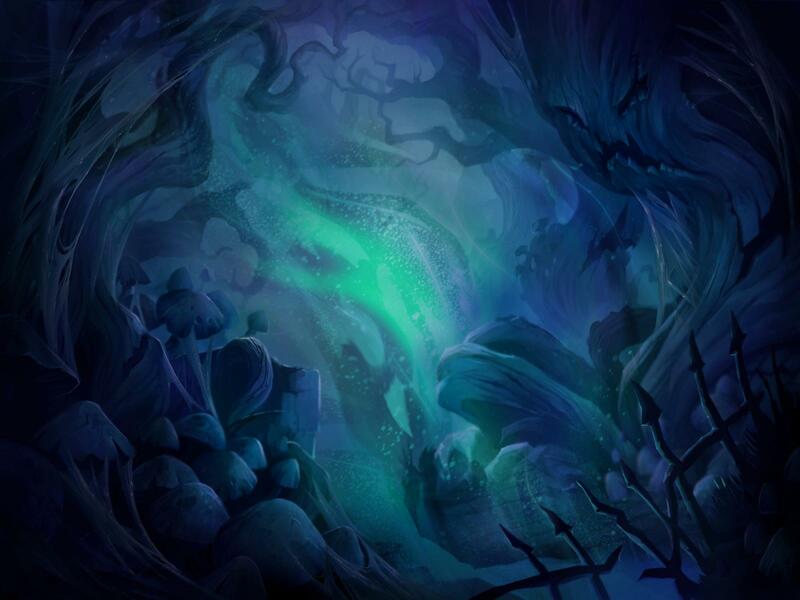 Nightmare Trynd will be available for 750 RP. Order of the Lotus Irelia will be available for 750 RP. Attack Speed buff at 3 stacks changed from 30/55/80/105/130%Â toÂ 30/40/50/60/70% + (Â 0 / 2 / 4 / 6 / 8 / 10 / 15 / 20 / 25 / 30 / 35 / 40 / 45 / 50 / 55 / 60 / 65 / 70% ). This value scales with Jinx’s level. At level 5, with 3 point in [ Q ], Jinx’s 5.9Â value at 3 stacks isÂ 80%. Her 5.10Â value would be 58%. At level 9, with 5 points in [ Q ],Â Jinx’s 5.9Â value at 3 stacks isÂ 130%. HerÂ 5.10Â value would be 95%. At level 16,Â Jinx’sÂ 5.9Â value would be 130%. This is where both valuesÂ are equal. At level 18, theÂ 5.9Â value would be 140%. End-game the 5.10Â value is 10% higher. To sum up, this is quite the brutal nerf to Jinx’s early game without much tradeoff later. Recommend you max Zap! [ W ] by level 9 over Switcheroo if the change makes it to live. Now grants +3 Gold (8 for melee)Â for every attack on an enemy champion. The bonus gold can’t be procced on the same champion more than once every 5 seconds. Note that ARAM received a mini-rework in Patch 5.8 and a new Summoner Spell for the mode was added – Mark/Dash. Here’s some new loading screen art for Crystal Scar (Dominion), Twisted Treeline (3v3) and the Advanced Tutorial (newbies) that I totally didn’t miss in yesterday’s PBE update. Itâ€™s about that time again and weâ€™re bringing back another of our tried and true modes, Hexakill: Twisted Treeline! This time around weâ€™ve included one important addition; BANS!We heard you guys last time, so weâ€™ve gone and squeezed bans into our Hexakill champion select screen. This is also a good test for us to see how efficiently we can resurrect old modes (it varies wildly from mode-to-mode, but you gotta start somewhere). 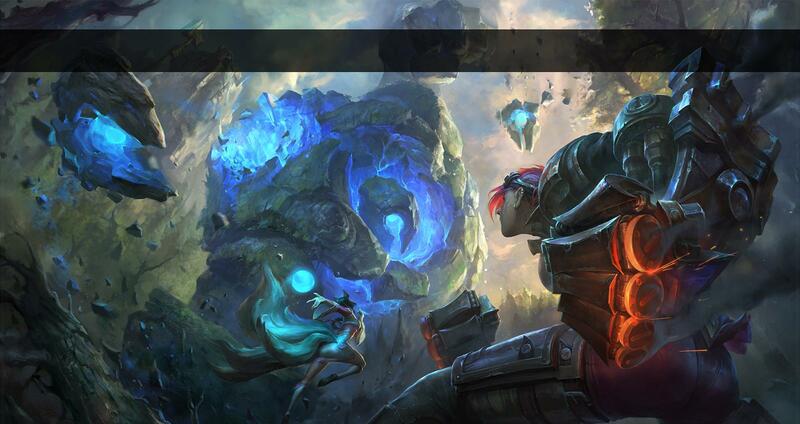 — Let us know what you think of the bans readability in the Hexakill champion select screen. — Obviously if any bugs, etc come up, let us know in this thread! A new Game tab option will allow players to disableÂ map particles and other clutter. Recently we added an option to the Game tab in the menu called “Hide Eye Candy”. Some of our more competitive players requested the the option to hide some of the less subtle movement on Summoner’s Rift. We added the option to disable things like butterfiles, dragonfiles and the water wakes to help competitive players focus on what they care about, the gameplay. The next PBE deploy should have the hook ups enabled. Let us know if we missed anything that should’ve been added and if you have any other feedback regarding this new option. Edit: Only ambient critters that persist after 1:55 will be disabled by this option. You can continue to perfect the dark ritual necessary to spawn the Duck. Here’s a small collection of recent posts from Meddler on the topic of Shaco and Gangplank’s reworks, why Sejuani was nerfed in Patch 5.6, an in-office photo that shows a slide titled ‘New Ultra Rapid Fire Mode’ and a few other tidbits. Someone on the forums took a photo of Ghostcrawler showing a slide for a new U.R.F mode. We felt Sej was clearly too strong in 5.5, relative to other tank junglers in particular, and chose to remove some power from her as a result. We kept the 5.6 nerfs to her relatively minor since the state of the game’s still adapting to Cinderhulk’s introduction and she hasn’t been a consistent, long running problem (though was definitely strong pre 5.5). Having had a bit more time now to assess Cinderhulk we also feel it’s a little bit too strong. We’re glad to see tanks being successful with it, but feel it’s a bit too strong compared to other options. Current thinking is to drop it from 350 to 300 HP as a result. Still planned and the gameplay changes are showing promise. Won’t be for quite a while though, there’ll be a number of other reworks first. At any point in time we’ll have multiple reworks underway. Some of those will be really large scale like Poppy (Sion level of work/change). Most will be smaller, ranging in size from fairly small adjustments like Viktor to moderate sized ones like Heimer. For this year that means you’ll almost certainly see multiple other gameplay reworks before Poppy this year. Expectation is that she’ll be the next really big one though. The Shaco rework we talked about a little a while back got shelved. It had some interesting ideas in it, but after testing we weren’t confident it was the right solution in terms of fixing problems while maintaining Shaco’s identity. Possible we’ll give it another shot at some point, no immediate plans to though. Some reworks are need driven (Sion for example). We also try out some opportunistic reworks in testing, if we’ve got strong ideas for ways to make a champion better despite them not being one of our highest priorities. The Shaco rework was an example of that, with a bunch of stuff that sounded hopeful on paper. When tested in game though, we weren’t as happy as we needed to be to ship changes. Some of Shaco’s issues were addressed, there was a fair bit of ‘this doesn’t feel like Shaco anymore’ feedback as well, plus some of the new spells didn’t hit the mark satisfaction wise. We’d like to keep Bard’s ult damage free, since putting a damaging effect on it leads to some conflicting uses and muddies it’s purpose (keep dudes out of a fight, whether allies safe or enemies unable to contribute). We definitely agree Bard needs some buffs though. We held off from doing substantially changes in patch 5.6 since by the time the patch changes locked Bard had only been out for 6 days. That’s not enough time to see how people adapt to and learn a new champ, and we’ve sometimes buffed champs unnecessarily in the past when we’ve reacted too quickly, so we decided to give it a bit more time. At this point we’re confident he does need some more significant buffs though, and have a better idea of where to test out more power. 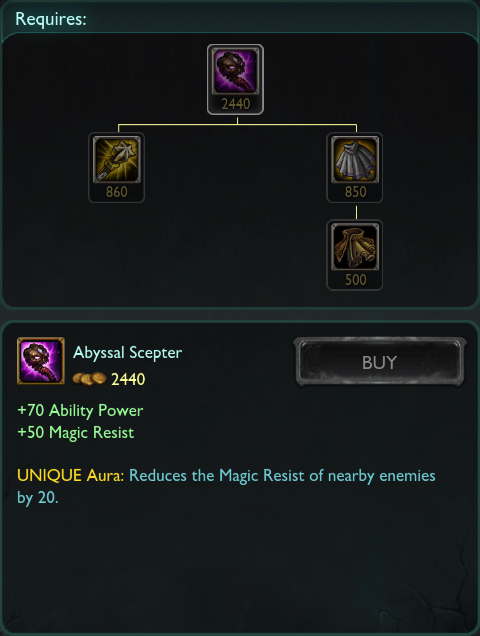 You should see some buffs on the PBE in the next couple of days at a guess, with a focus on base stats, amount of mana restored per chime and faster Meep respawn. We’re also planning to test a little tweaking to Chime spawn locations, though that’s more speculative and might be more of a feel change than a power one, not sure yet. I’m not part of the Narrative team, though I can give you my interpretation of Xerath’s short story. 1. After reading Xeraths lore, I’m wondering, is he a real bad guy? It depends on who’s perspective you’re looking from. From Xerath’s perspective, he was punishing an injustice against a man who had promised him freedom, but who had never given it to him. Xerath wanted the power to free himself from being a slave, and was also tearing down a decadent society built on the backs of slaves. Perhaps he believed that he needed to destroy Shurima in order rebuild it up again, and that he would be the one to do it. Things didn’t turn out as planned, but perhaps you could understand where he was coming from. 2. So he plotted for the Ascension to go right, but also go wrong for Azir, or himself? He plotted for the Ascension ritual to go wrong for Azir, but right for himself. He wanted the power to free himself and to destroy Shurima, possibly rebuilding it to where he would be the new emperor. Though due to his tampering, he corrupted the Ascension ritual. That’s why the being that he turned into was a more unrefined form of magic, compared to animal-characteristic beings like Nasus, Renekton, and Azir. 3. At the end, Azir frees him. Here is where I get confused. Does Xerath feel guilty? Xerath may have had regret at the time, but he had already set the gears in motion for Azir and Shurima’s destruction. He believed there was no turning back from what he has done, and followed his plan to its completion. Weâ€™re going to be testing some fixes and updates to our Loyalty service (PC cafÃ© rewards system) on the PBE, so for the next week, you will all once again be receiving Loyalty rewards! For those who are unfamiliar with Loyalty, it is our way of giving players extra perks for playing League of Legends in PC cafes in certain regions. In many Asian and European countries (Korea, for example), players tend to play League of Legends primarily in these PC cafÃ©s instead of on personal computers, where they pay by the hour to play the game of their choice in a social environment. Within this environment, most game titles (regardless of retail market price) are offered to players at a reduced cost (or at no cost) to offset the cafÃ©â€™s usage fee and keep the playerbase healthy. Riotâ€™s approach is to allow players to temporarily select any champion when playing League of Legends from PC cafÃ©s, as well as earn a small amount of additional IP. This feature does not reward any players when they log in outside of PC cafÃ©s, even if they are using the same account. As a reminder: When this feature is active, you will see a small medal icon in the top-right corner of the League of Legends client, earn an additional 20% IP at the end of matches (visible as a segment of the IP bar on the postgame screen), and all champions will appear unlocked (similar to the weekly free Champion selection). The only champion we are not awarding at this time is Bard, since we still need to make sure heâ€™s able to be purchased! Like the Free to Play rotation, Loyalty does not actually apply champion ownership to an account, so you will still need to purchase champions before you can buy skins for them. Patch 4.21 is huge! New champion, six new skins, a new game mode, lots of balance changes, texture rebalances and free healthcare. Patch 4.21 will be hitting live on December 9th, assuming there are no delays. [ Note ] A new item, Zz’Rot Portal, was introduced in a recentÂ PBE updateÂ but has been removed for Patch 4.21. It will return for testing in the next cycle. Rek’Sai is a new champion. As such, she’ll be available for 7800 IP/975 RP for the first week after she’s enabled, after which her price will be dropped to 6300 IP/975 RP. UnburrowedÂ â€“ Queenâ€™s Wrath: Rekâ€™Sai lashes out, dealing 15/35/55/75/95 ( +0.4 Bonus AD ) bonus physical damage damage to all enemies around her with her next three basic attacks within 5 seconds. BurrowedÂ – Prey Seeker: Rekâ€™Sai fires out a pulse of void energy in a straight line skillshot that detonates on the first enemy struck, dealing 60/90/120/150/180 (+1 AP) magic damage and revealing the target and all nearby enemies also hit by the missileâ€™s explosion for 2.5 seconds. UnburrowedÂ – Burrow: Rekâ€™Sai burrows underground, gaining Tremor Sense (a unique mechanic that shows Rekâ€™Sai all enemy movement in a wide area around her) and increased movement speed at the expense of vision range and access to her basic attacks. She ignores unit collision as she moves around. BurrowedÂ – Unburrow: Rekâ€™Sai bursts out into the open, knocking up nearby enemies for 1 second, based on their proximity to Rek’Sai, and dealingÂ 60/110/160/210/260 ( + 0.5 Bonus AD) physical damage to them. A unit cannot be hit by Unburrow more than once every 10 seconds. Burrowed Effects: New abilities, +15 Movement Speed, reduces vision range, disabled basicÂ attacks, and gains Tremor Sense: Nearby enemies that move in the Fog of War have theirÂ position revealed to Rek’Sai and her allies. UnburrowedÂ â€“ Furious Bite: Rek’Sai bites a target dealing 80/90/100/110/120% of Total AD asÂ physical damage, increasing by up to 100% at maximum Fury. If Furious Bite is cast while Rek’Sai has 100 Fury,Â it deals true damage instead of physical. BurrowedÂ â€“ Tunnel: Rekâ€™Sai digs toward a target location, creating a pair of tunnels at the two ends of her path. Tunnels last for 10 minutes and can be destroyed by enemies. Rek’Sai may have 8 tunnels at one time. Passive:Â Rekâ€™Sai gains 20/40/60% Attack Speed. Active:Â Rekâ€™Sai channels for 1.5 seconds before burrowing and dashing towards any of her tunnels, briefly gaining significant movement speed once she emerges. Taking damage from a champion or tower will interrupt the channel.Â While travelling, Rek’Sai cannot be targeted. Eternum Rek’Sai will be available in store for 1350 RP. For herÂ recall, Eternum Rek’Sai summons red lightning around her. Blood Moon Elise will be in available in store for 975 RP. For her recall, Blood Moon Elise plays a melody, akin to Guqin Sona. Blood Moon Thresh will be available in store for 975 RP. For his recall, Blood Moon Thresh performs a fancy dance and flays his hook around before vanishing. Poro Sejuani will be available in store for 975 RP. Though she could pass off as an ultimate skin. For her recall, Poro Sejuani summons a smaller poro that skips around her. The big poro then lifts it up in the air with its tongue. You NEED this skin. Snow Day Malzahar will be available in store for 975 RP. For his recall, Snow Day Malzahar does a bunch of air tricks with his voidling. Winter Wonder Ori will be up in store for 975 RP. The following wards will be sold at 640 RP in the store. Baronâ€™s getting ready for Christmas! Now adds a debuff on the target which amplifies further poison damage by 20% for 5 seconds, stacks up to 2 times (40%). Now applies Dread, Fiddlestickâ€™s passive. Addtionally, Elastic Slingshot will spawn bonus health blobs for Zac if he hits multiple enemy champions with the spell. TheÂ goldÂ granted by jungle monsters has beenÂ reducedÂ for every camp. Malphite, Malzahar,Â Shen, Wukong and Xin ZhaoÂ got texture updates to their base model and skins in this patch.